The festive season has come and gone, meaning it’s no longer acceptable to have mince pies for breakfast. Boring, we know! As 2019 powers on, it’s time to up the ante on your fitness regime. It can be hard to fit exercise into a hectic lifestyle. Putting some time aside every day to work out will help you reap rewards not only physically, but mentally too. 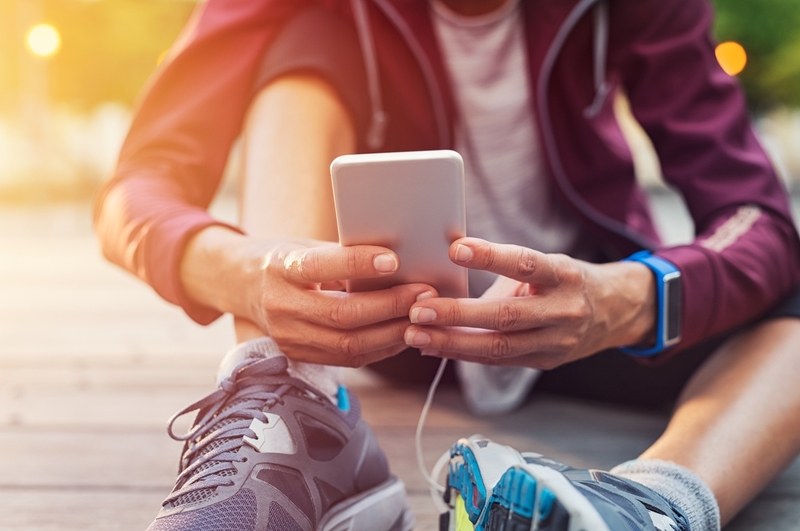 Although you might not be able to make it to the gym for your favourite yoga class, we’ve found some handy fitness apps that let you work effective exercise into your day from the comfort of your own home. The classic. If you want to get into running but even the thought of jogging down the road gives you a stitch, Couch to 5k is your new best friend. Starting the first week with one minute runs, this app builds you up from self-confessed couch potato to a fully-fledged 5k runner in just nine weeks. Best for: the über busy! There are no excuses with this one. Just like it says on the tin, 7 Minute Workout takes just seven minutes to complete. Whether you’re a beginner just looking to ease yourself into exercise, or a gym addict who wants to add a little something more to their routine, this app works the entire body in – you guessed it – just 7 minutes. Strength, cardio, and yoga are very different disciplines, but they’re all available on Sworkit, and you don’t need any equipment to get involved. Once you select what kind of workout you’re after, you can choose what area of the body you want to work on. Sworkit is fully customisable. You can choose the length of your session, rest times between exercises, and chart your recent progress. If you want to try fitness classes but the thought of being surrounded by other people fills you with dread, Fiit is the answer. Admittedly it isn’t the cheapest app around, but Fiit gives you access to classes with world-class trainers from your very own living room. Classes include strength circuits, yoga and pilates, HIIT and more. Love mapping out your workouts to the finest detail? GET. THIS. APP. Intervals lets you plan your sessions to a tee and keep on track with timers, and info on what you’re doing next. What are you waiting for? Get your sweat on without running out of data with our data Big Bundles – load up your phone with these handy fitness apps and get going!